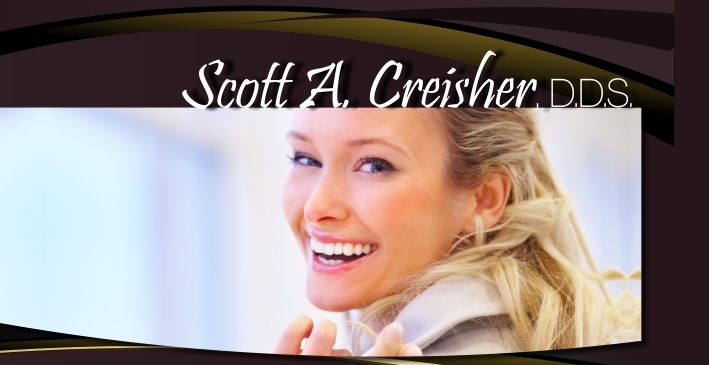 Dr. Creisher is a skilled, compassionate Lancaster dentist. His years of experience, his commitment to educating his dental patients, and his gentle approach to dental care all make him well-respected in the dental community and loved by his patients. Specializing in general, family, and cosmetic dentistry procedures, Dr. Creisher is talented ; he’ll work with you to make sure that you are aware of your dental care treatment options, feel comfortable during exams, cleanings, and procedures, and listen to your concerns, fears, and questions. As a Lancaster dentist, Dr. Creisher is ready to provide you with the dental care you need.